Many consumers may be worried about how secure their items will be in self storage, but fear not. Jiffy Self Storage is a top provider of self storage in Toronto and ensures valuables are safe and sound. The company has an A+ rating with the Better Business Bureau and a record of zero complaints. Whether a consumer is storing a valuable piece of artwork or a one-of-kind financial document, they are given peace of mind when utilizing the services at JIffy. If a person isn't convinced by the outstanding reputation of Jiffy, the fact that it was named Toronto's best storage company by Toronto Life Magazine, as well as being a 17-time winner of the Consumers' Choice Award, might be all a person needs to choose Jiffy over a competitor. So what does this glowing reputation mean? 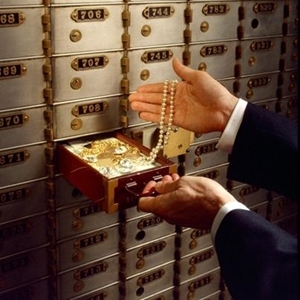 It means all your valuables will be safe when using Jiffy Self Storage.